Leo Messi is constantly breaking records, and with his brace against Betis this past weekend, he moved closer to one of the few that he has yet to set. 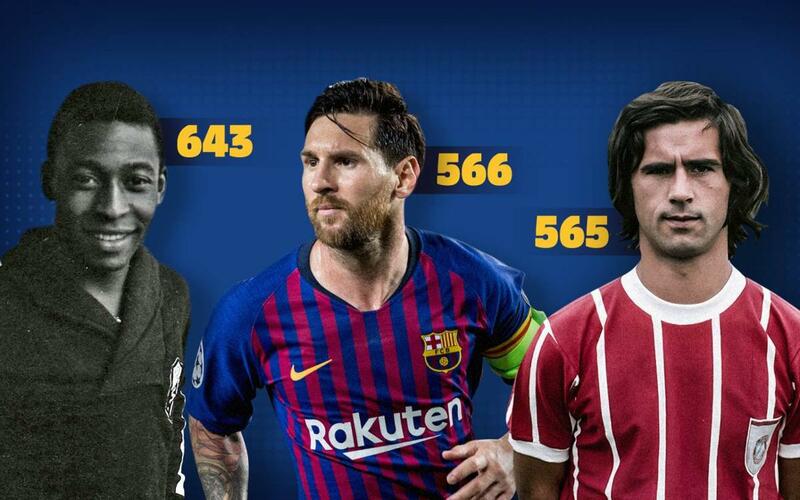 The Argentine now has 566 goals in official competitions for FC Barcelona, overtaking Gerd Müller's 565 for Bayern Munich. He is now the second highest goalscorer for a single club, trailing only Pelé in the all-time standings. The Brazilian found the net 643 times with Santos, over the course of 18 seasons. Messi previously overtook Müller as the top goalscorer for a single club in Europe's main leagues last season. Messi's scoring statistics are formidable. He has racked up his 566 goals in just 650 appearances for Barça. His most prolific season was 2011-12, when he scored 73 times, and the away stadiums at which he has scored most frequently are the Santiago Bernabéu (15), the Vicente Calderón (14) and Riazor (13). His most favoured foes are Sevilla (32 goals), Atletico Madrid (28) and Real Madrid (26). His goals are divided between 392 in LaLiga, 105 in the Champions League, 48 in the Copa del Rey, 13 in the Spanish Super Cup, 5 in the Club World Cup and 3 in the European Super Cup.